Heir are a DIY-pop band from Leeds. Their organic songwriting, infectious rhythmical hooks and powerful vocal harmonies have propelled the five-piece to striking independent success. After hitting viral figures on Spotify with their debut single, ‘I’ll Pick You Up’ they have since performed at Reading and Leeds Festival, worked with producer Ken Scott (The Beatles, David Bowie) and launched their own collaborative arts night, ‘Blueprint’. 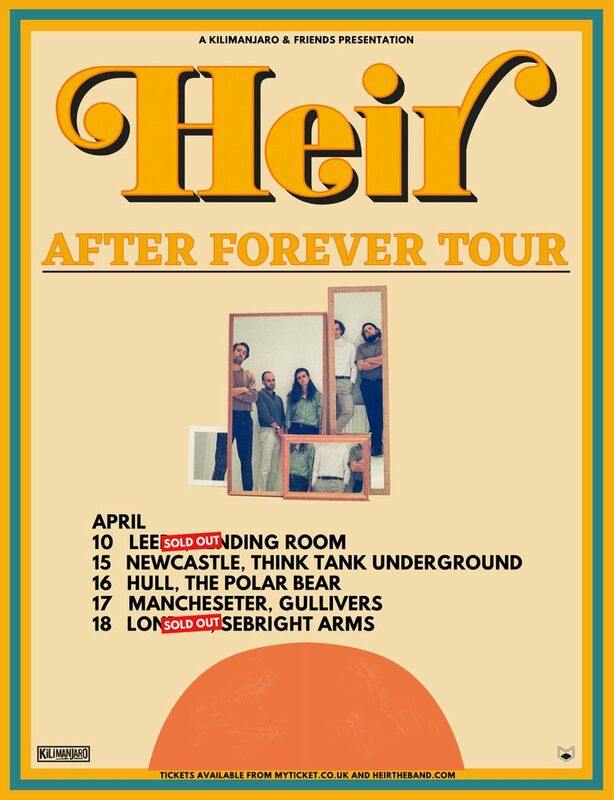 2019 sees the band head out on a UK and European tour with the release of their debut EP, ‘After Forever’ - mixed by Geoff Swan (HAIM, Metronomy, Coldplay).